Bhasha Official Blog: Bhasha Apps Now Available on your iPhone! Bhasha Apps Now Available on your iPhone! We are so glad to announce you that Bhasha Apps are now available also on your iPhone! First we are giving you two of our Award-winning apps, Bhasha Dictionary & Bhasha Puvath which are having a higher demand on Google Play for your iPhone. 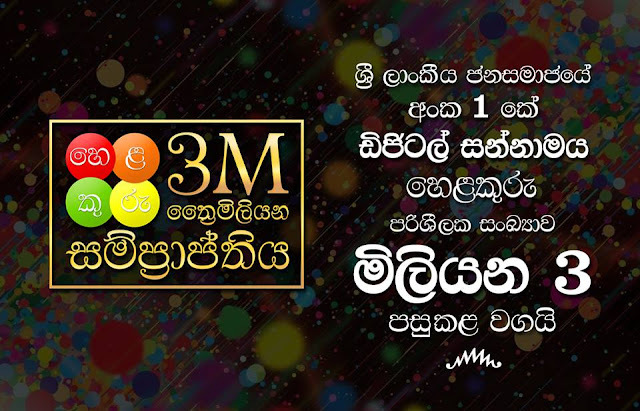 Now you can get unlimited instant language translations from English to Sinhala with your iPhone for FREE. 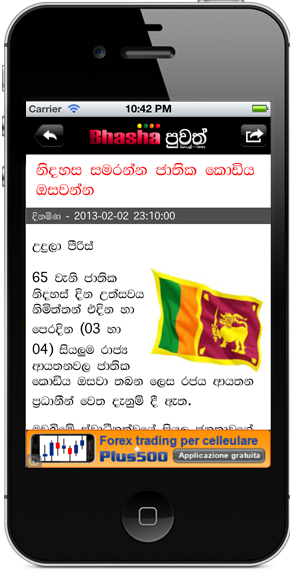 Bhasha English-Sinhala Dictionary is Sri Lanka's Official Sinhala-English Dictionary app for SmartPhones brought to you by Bhasha Lanka (Pvt) Ltd in partnership with Language Technology Research Laboratory, University of Colombo School of Computing, Sri Lanka. Bhasha English-Sinhala Dictionary provides you offline dictionary service for English to Sinhala word translations where you do not need any Internet connection to use the dictionary. This is a FREE application with No word limitations & will include ads only when you are connected to Internet. This is also a FREE application which is supported by ads. You will be able to purchase an ad-free version in future. We are so exited that this is our entering to the iPhone Development & we hope to do lot of innovations on iPhone as well as we are already doing on Android. Rest of our innovative apps will also be available for iPhone in the near future.